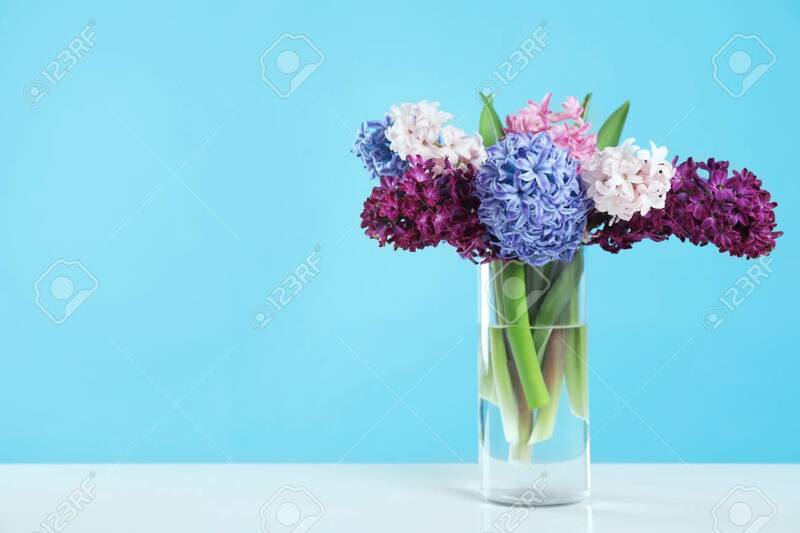 Beautiful Hyacinths In Glass Vase On Table Against Color Background, Space For Text. Spring Flowers Banque D'Images Et Photos Libres De Droits. Image 119182957.